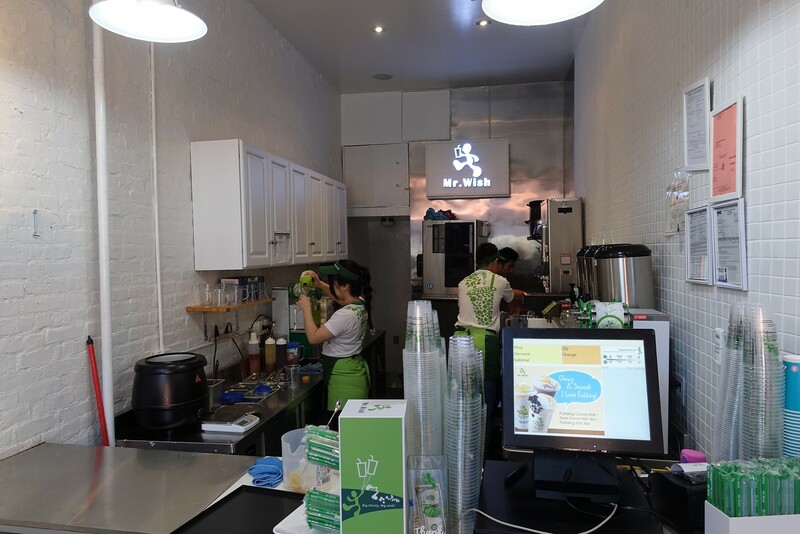 Somehow Mr Wish, a bubble tea chain with five other branches scattered around New York City (and zillions in Taiwan and also China) escaped my notice until they opened one in my own neighborhood of Park Slope, Brooklyn. 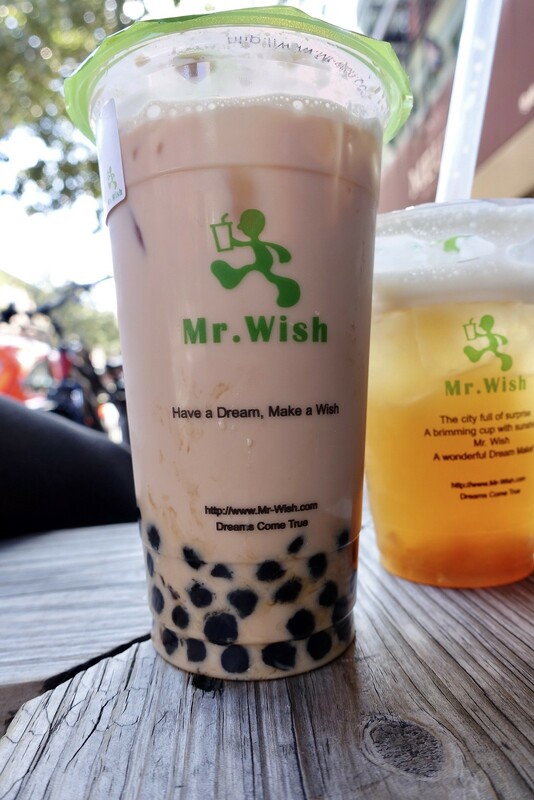 My first impression of Mr Wish was a positive one after stopping by for a full sugar tapioca milk tea for my niece. The tapioca pearls were soft, the way they should be, something that’s hard to come by in New York City. 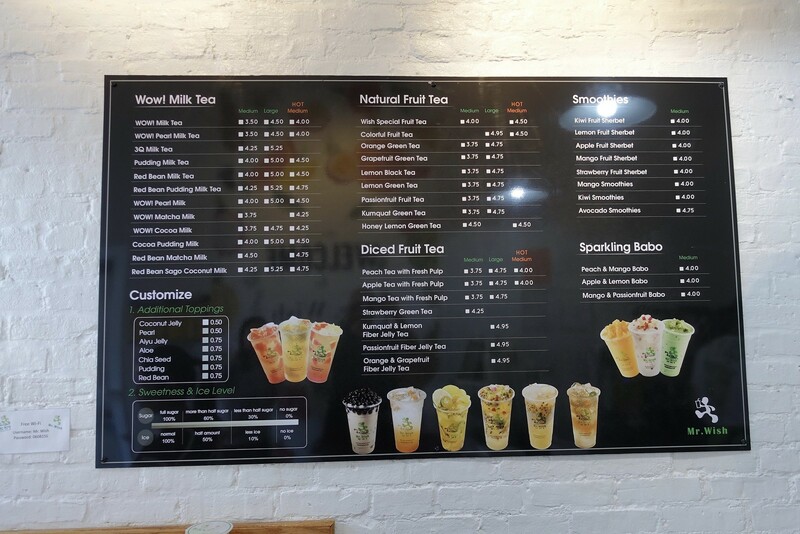 I couldn’t tell much else about the drink due to the sugar overload, so I returned a couple of days later with a friend and ordered a cold, zero sugar milk tea with tapioca pearls and one of their signature fruit drinks without boba. What a disappointment. The zero sugar of the drink itself was counteracted by the over-sweet tapioca pearls, which made the entire drink sweet, and balanced by… nothing. There was no taste of tea. No taste beyond sugar except a slight metallic tang. 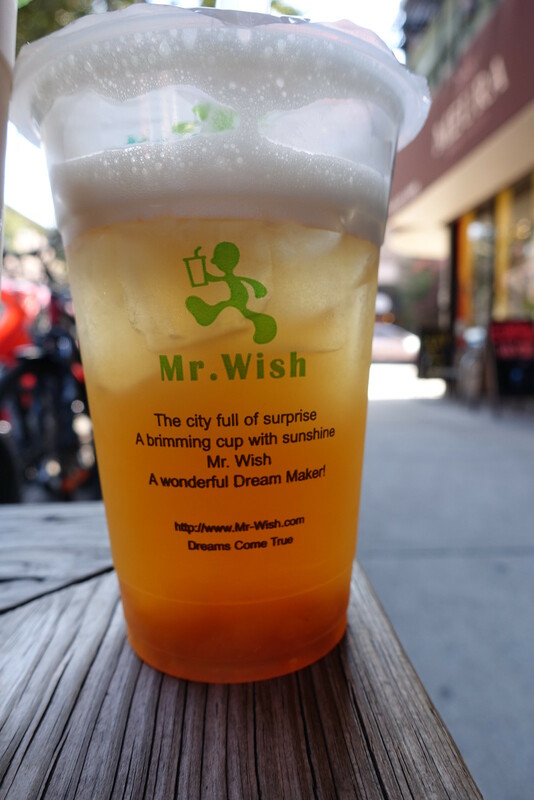 Mr Wish is supposedly famous for fruit drinks, but the best thing about the one we tried was the gibberish-y slogan/poem printed on the plastic cup. The real fruit included in the drink had no chance of drawing attention to itself against the thick, cloying fruit base, most likely created from concentrate. We couldn’t get down more than a few sips.